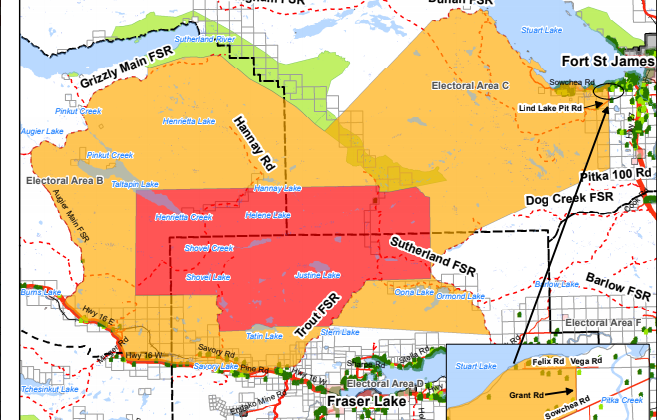 The area under ORDER is East of Taltapin Lake to West of Sutherland FSR and Trout FSR. South of Hannay Lake to North of Tatin lake. 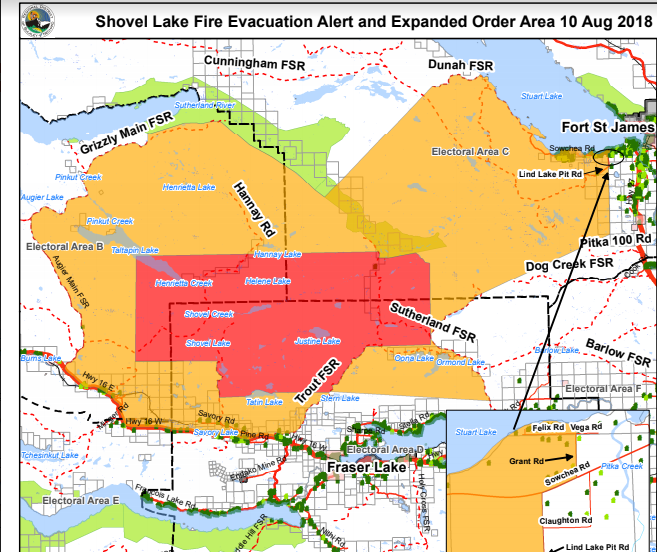 The Shovel Lake wildfire is over 16-thousand hectares in size as of note.